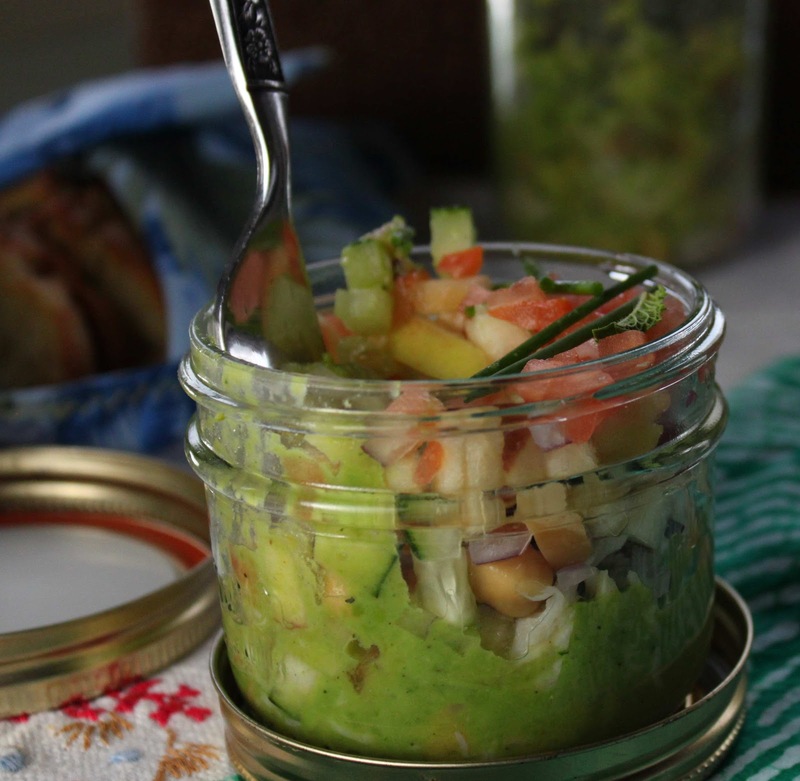 The possibilities with this mason jar salad are endless.Use chicken instead of turkey, skip the tomatoes, add in roasted corn or use a lemon honey dressing instead of the minty pea. 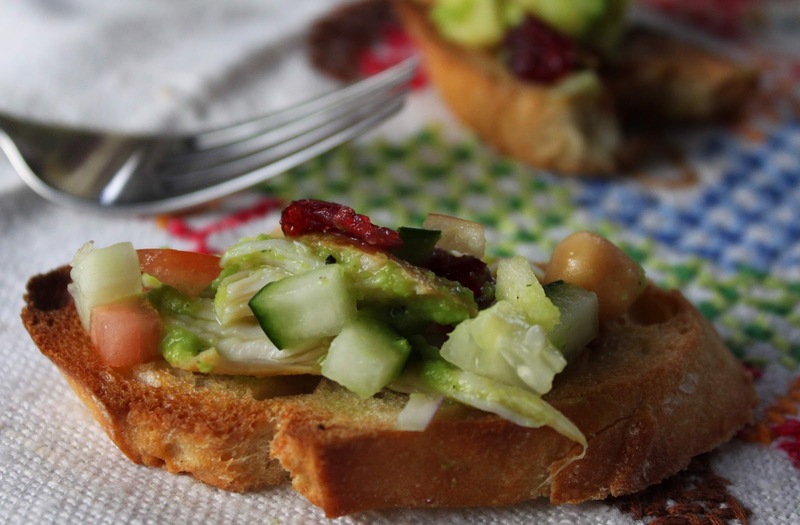 Use these Fat and Happy recipe and tips as a base and be a green picnic winner! Tips and techniques: Who said you can't bring real silverware to a picnic? Just wrap it up in the napkins after using and wash when you get home; it's greener than buying disposable. You could even pick up a picnic set at a local garage sale for pennies. To keep ice cubes from diluting the drinks - freeze lemonade, lemonade concentrate or tea in ice cube trays and use in place of water ice cubes. Some men just want sandwiches over salads, you can easily turn this salad into a sandwich by bring along tortillas or pitas rather than crostini. This makes roughly 4 standard mason jar salads, adjust the amounts for your preference, jar size and needs. Warm the frozen peas and water just till the the peas are defrosted. Place the peas and remaining dressing ingredients in a blender, blend until smooth, adding a few tablespoons of water to reach desired consistency if needed. This is your only chance to season the salad, so be very liberal with the salt and pepper. 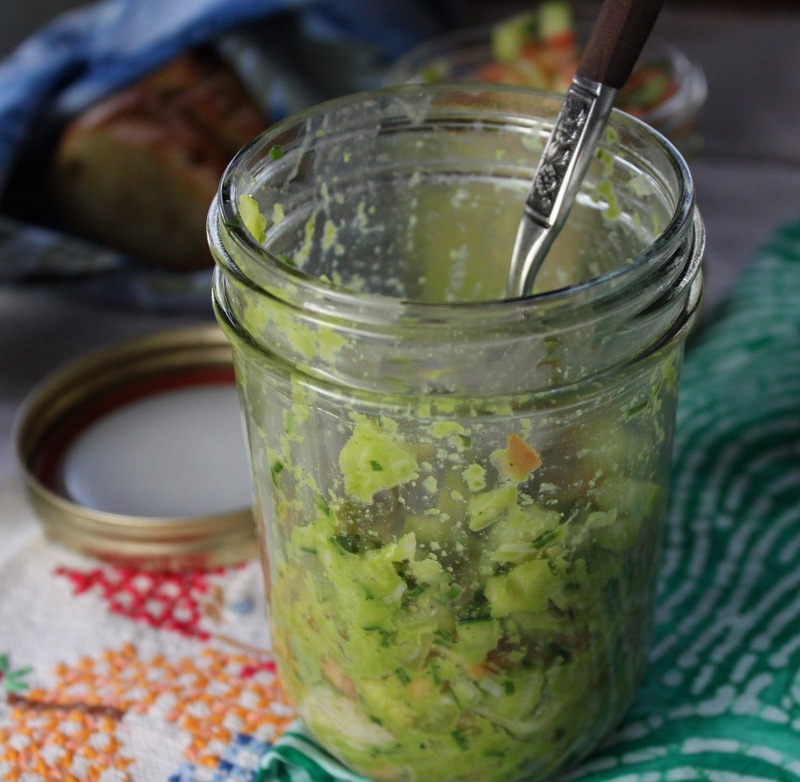 Pour a few tablespoons into the bottom of each mason jar or resealable container. Chop all the salad ingredients and layer into and between the containers; leave about 1/2 inch space at the top of the jar before closing. Serve to lunch mates with instructions to give the jar a good shake to distribute the dressing. Remember to serve crostini too, so guest can eat along with the salad or pile the salad on top bruschetta style.